Whatever you do, for God's sake, Do NOT look into the light!... Damnit, she looked. Looks like Edward cheated on Bella again. Excuse me , miss. You've got some face on your make up. 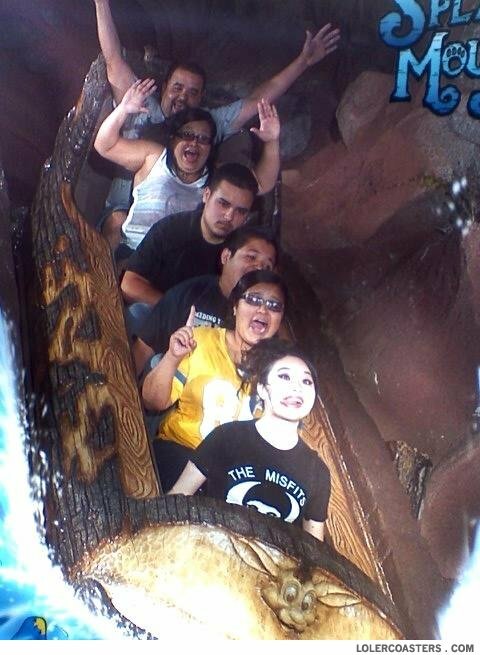 i love how she has a shirt that says "misfits"
5 illegal mexicans and a vampire asian. the spotlight goes to the MIDDLE MAN!!!!!!!! Is there such thing as an albino asian?